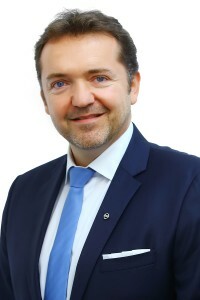 Mr. Guillaume Sicard, Nissan Motor India Pvt. Ltd. spokesperson quoted this on Budget 2016. The Union Budget 2016 has continued with the government’s focus on maintaining fiscal deficit, agriculture, infrastructure development and recapitalizing of PSU banks. The budget gives special focus on the economy at the grass-root level which will have an overall positive impact in the long run. Additionally, we also welcome Government’s decision to amend the Motor Vehicle Act in passenger vehicle segment to allow innovation. This, coupled with a focus on infrastructure will help improve the overall public transport in the country. There is not much for Auto industry in this budget. Infrastructure cess increase up to 4% on passenger vehicles will definitely have an impact on the prices. We do not foresee that to be a major burden for small car buyers but the luxury cars and SUVs will feel the heat. We are still trying to understand the modalities of collection of TDS of 1% on more than 10 lakh priced cars. Further, curbing incentives on in-house R&D spends from 200% to 150% is not very positive. There is no presentation on roadmap for GST implementation, additional Incentives for Electric Vehicles and Hybrids under FAME Scheme and the plan for Vehicle Scrappage scheme which is damper.